These plants make easy and enjoyable cut flowers. Many are long lasting with excellent vase life. Bring the joy of the outdoors in with these easy cut flowers. 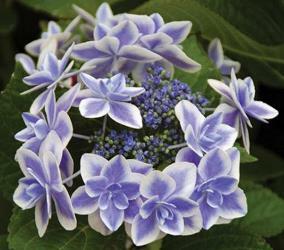 Blaumeise is considered by many to be one of the best of the Lacecap Hydrangeas producing very large flower clusters that are surrounded by some of the most deeply colored and themselves very large, showy sterile florets. 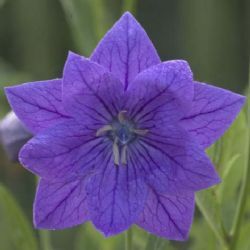 In acidic soils the flowers are a deep royal blue and in alkaline soils the flowers are a dark rosy red. 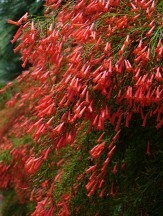 The foliage is large and shiny and is held on stout sturdy stems. 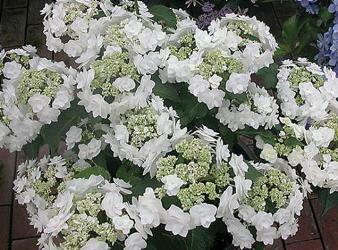 The only drawback for this amazing Hydrangea cultivar is that it has limited cold hardiness and is will probably be best grown in zones 8 and warmer. An eastern or partially shaded southern exposure might be optimum even then. Item# 10731. 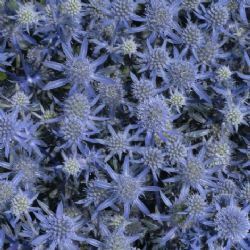 Sturdy spikes of brilliant blue to lavender-blue, two-lipped flowers are borne for an exceptionally long period in late summer and into fall on this hardy, native, clump-forming perennial. Suitable for consistently moist to wet soils. The Blue Cardinal Flower is enjoyed by hummingbirds, butterflies, and an variety of other pollinators as well as making a beautiful cut flower. Images courtesy of North Creek Nurseries. Item# 10159. 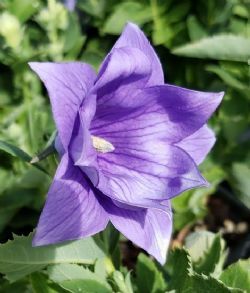 Grows To: 8-12'' H in foliage 30-40''H in flower. Space about 12-18'' apart. 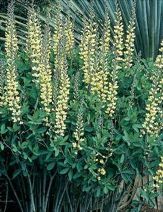 Carolina Moonlight Baptisia produces loads of sturdy spikes filled with rich buttery yellow pea-like blossoms that emerge in mid to late spring. The newly emerging blue-green foliage creates a wonderful bouquet-like effect accenting the contrasting flower spikes. Baptisia's are durable, pest and disease resistant, long-lived perennials and could be considered the Lupine for the south. 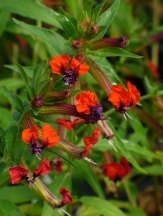 An excellent addition to the perennial border or cut-flower garden that is drought resistant, deer resistant, adaptable and easy. Note: This is a hybrid of two native species. Item# 10860. Masses of beautiful soft orange, 2" Camellia-like blossoms adorn this Quince in late-winter and early spring. 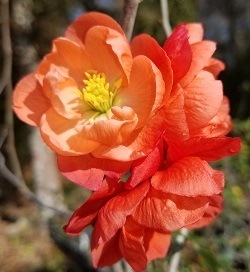 Flowering Quince are easy to grow and long-lived deciduous shrubs with good drought tolerance once established. Cut stems of quince with well developed flower buds that are showing color can be brought indoors as cut flowers. Prune after flowering as Quince flower on old wood. Item# 9811. Correll's False Dragonhead is a rare but wonderful, seemingly more refined garden species that is as vigorous as it is beautiful. 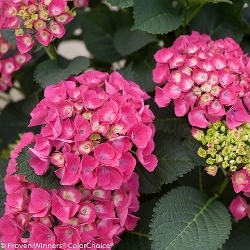 The dense spikes of purplish-pink, tubular, often speckled, flowers are held atop sturdy, 3' high stems in summer. Like most other Physostegias, Correll's False Dragonhead does spread by large rhizomes even in average soils. The leaves of this species are toothed, widest in the middle, sessile, and are almost always a rich dark green. Item# 10236. 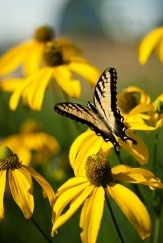 The Cutleaf Coneflower produces 2-4" wide, drooping yellow daisies that are centered by a small dark cone in summer. 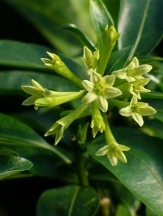 The flowers are produced on tall, narrow but sturdy stems and flowers are produced singly and in small clusters. The deeply cut, somewhat hairy, medium green foliage and delicate stems give this species a finer overall texture. Cutleaf Coneflower grows across much of the central and eastern US and is a spreading rhizomatous perennial that enjoys a moist soil. Attracts a variety of pollinators. 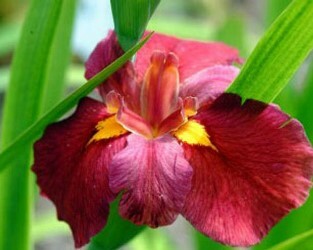 Image courtesy of North Creek Nurseries. Item# 10396. Ruffled deep fuschia purple falls are centered with lighter fuschia purple standards. Beautiful, full, nearly rounded flowers. 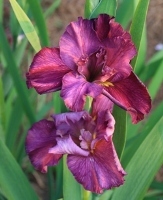 A vigorous and hardy Louisiana Iris which multiplies readily in average garden soils, moist to wet soils, or can be set in water gardens where the container is just below the water's surface. Blooms March through May. Item# 1138. 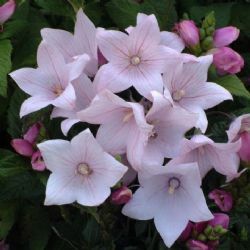 Large, rounded clusters composed of nearly 1" wide, fragrant, pure white flowers sit atop sturdy stems in summer and are sure to attract butterflies, hummingbirds and other pollinators. David's Garden Phlox has exceptional disease resistance and was selected as the 2002 Perennial Plant of the Year. 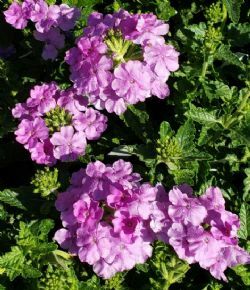 Garden Phlox is also known as Summer Border Phlox or Fall Phlox, it is a hardy clump forming, upright growing herbaceous perennial found throughout much of the eastern and central US. Item# 10830. Another amazing thornless quince, Double Take™ Pink Storm produces loads of rich pink, 2" wide Camellia-like blossoms on bare stems in late winter and early spring on a carefree shrub. 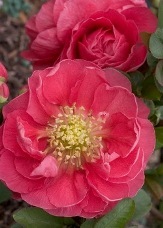 Flowering Quince are easy to grow and long-lived deciduous shrubs with good drought tolerance once established. Cut stems of quince with well developed flower buds that are showing color can be brought indoors as cut flowers. Prune after flowering as Quince flower on old wood. Item# 10901. Masses of beautiful glowing scarlet, 2" Camellia-like blossoms adorn this thornless Quince in late-winter and early spring. 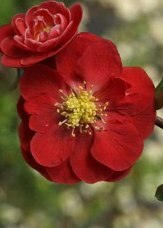 Flowering Quince are easy to grow and long-lived deciduous shrubs with good drought tolerance once established. Cut stems of quince with well developed flower buds that are showing color can be brought indoors as cut flowers. Prune after flowering as Quince flower on old wood. Item# 9458.